The digital transformation in manufacturing opens up tremendous opportunities for visionary entrepreneurs willing to begin the journey. 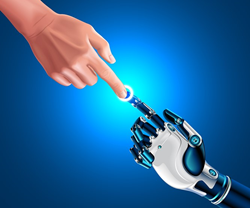 A NYC area IT consultant and MSP outlines the possibilities, anticipated benefits and potential risks of the current digital transformation in manufacturing in a new article on the eMazzanti Technologies website. The informative article foresees mass customization, increased productivity and safer work environments in digitally connected and controlled factories. Improved quality control and reduced costs round out the list of potential benefits. Urging caution, the article notes that those benefits could be partially offset by increased cyber-security risks. Joining forces with digital technology experts who keep their eye on the future facilitates an optimal road map for the digital journey. Those who make it their business to stay ahead of rapidly advancing digital technologies also design multi-layered proactive cyber defense solutions for manufacturers. An award-winning managed services provider, eMazzanti Technologies offers cutting-edge cloud, network, IoT and manufacturing cyber-security solutions. Its certified technology experts help companies embrace the digital transformation and navigate their way to increased revenues, lower costs and greater profits. eMazzanti has made the Inc. 5000 list eight years running, is a 2015, 2013 and 2012 Microsoft Partner of the Year, 2016 NJ Business of the Year, 5X WatchGuard Partner of the Year and one of the TOP 200 U.S. Microsoft Partners! Contact: 1-866-362-9926, info(at)emazzanti.net or http://www.emazzanti.net Twitter: @emazzanti Facebook: Facebook.com/emazzantitechnologies.